Conservatory Villa fitted to an existing building.Conservatory roof may be retractable or corrugated plastic. Even opening roofs with insulating effect can be delivered as a good alternative to the glass roof. The opening ceilings have a square or rectangular shape risk in order to be fully opened. The size, shape, color, and which parts should be opening up to you. 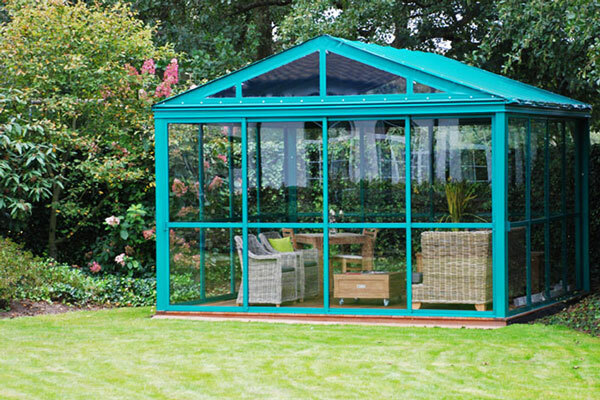 Any sliding of conservatories and other details can be powder coated to fit the particular environment that the conservatory to be placed in. 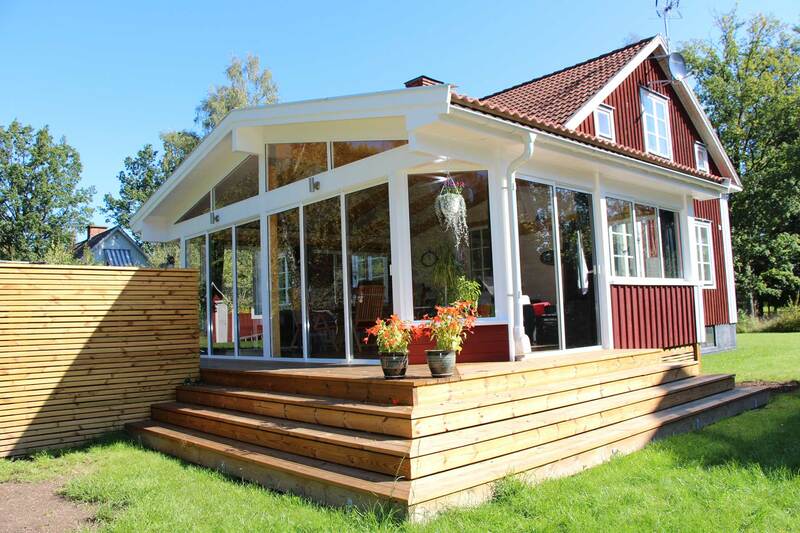 Conservatories supplemented with sliding doors to get a windproof outdoor room. 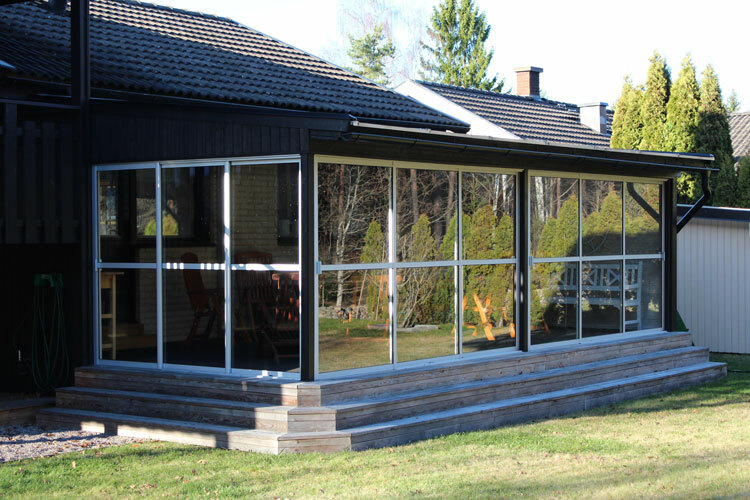 The sliding doors are made to measure and can be supplied with or without glazing bar at any height. Tailor-made solutions for individual requirements. Possibility of opening insulated roofs with 2.2 in the U-value, even with the engine. 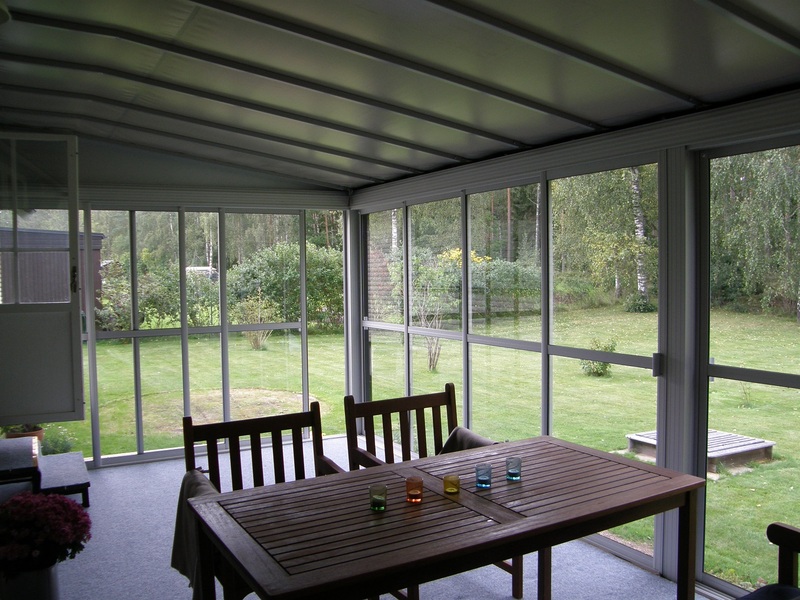 Via an aluminum profile attached to the existing wall open and close the roof.